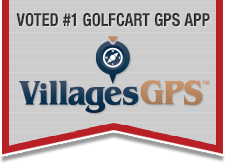 Talk of The Villages Florida / The Villages ADVERTISER Directory / GOLF CART DIRECTORY / Batteries / BATTERY BOYS - Simply the Best!! BATTERY BOYS - Simply the Best!! Also used Battery Boys. They are good. Also bought a trickle charger. If you are away for long period of time (we are 6 here/6 away) it's a good idea to use one. Battery Boys are the greatest! Had difficulty with cart, called Don at the Battery Boys, came right out and replaced the one battery that was bad.....Very knowledgeable and honest and very prompt.....These guys are the greatest and very reasonable! have access to all their batteries to meet your vehicle needs. manufactured by Crown Battery of Fremont, Ohio. professional services to our local residents. All Battery Boys Service Professionals drive Battery Boys identified vehicles. have genuine Battery Boys servicing your cart. [QUOTE=doran;589448]I do not post many things as I seem to be still trying to adapt to The Villages and Florida as we are from Southern California. Trojan T 1275's installed with old ones taken away, great deal! Comment. Hi, glad all is well with you and the cart etc. I have found Battery Boys to be very helpful over the phone. And I think they are the place to go. We are very happy with our electric EZ Go and it is reliable and clean and quiet and we love the motor braking system. Glad we do not ave to deal with a gas can, or pump or the odors. AGC carts in Wildwood is really a great place to shop and to get help. They have really been very good. Thanks AGC. Keep up the good work.